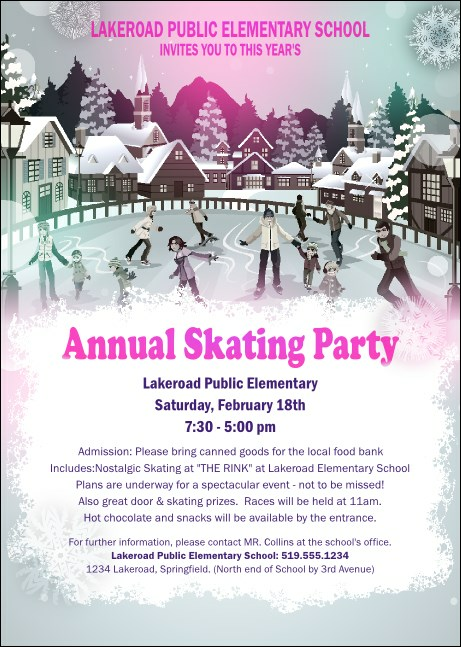 Glide your way toward excellent attendance and advance ticket sales for your next winter-themed or outdoor skating event! Yearning for a simpler time? The Skating Party Postcard evokes a wonderland of family fun in a charming, snowbound community where gently falling snow frames a local ice skating rink. Chill out! TicketPrinting.com can help you sell your upcoming event!